Hunger, thirst, injustice, misery, cruelty, injustice, physical torture, mental torture, illness, racism, suffering, death… : these are but a few of the many difficult issues, which artist Niki de St Phalle (1930-2002) decided to shoot at with her famous Shooting Paintings. 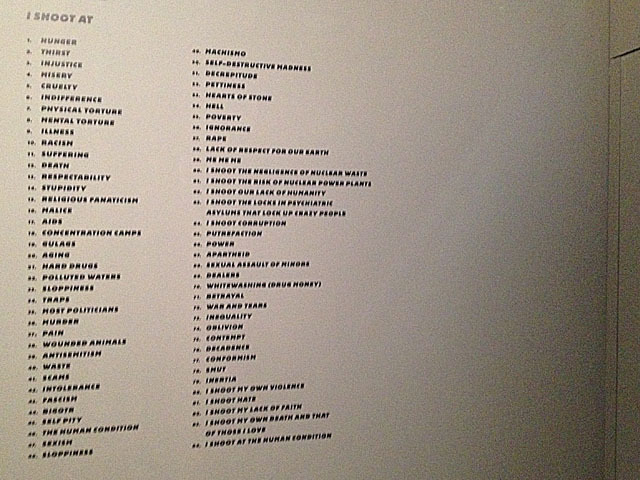 The list, entitled Wall of Rage, is currently exhibited at the generous Grand Palais retrospective. 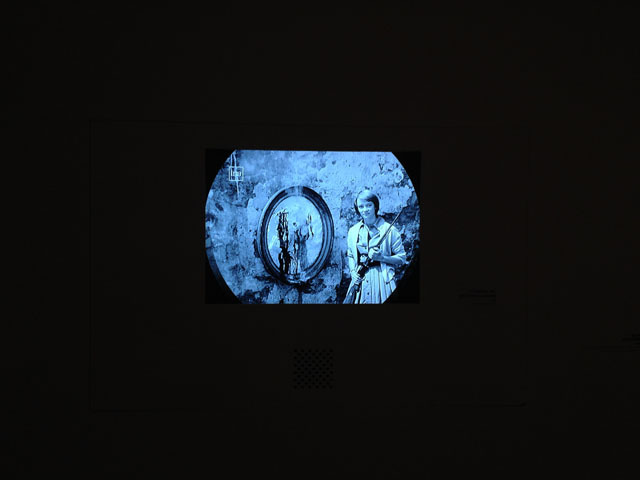 Interestingly, the shooting paintings, which lent Niki the nick name Calamity Jane of the Arts, were a social happening – everyone* could participate: “Le tireur, souvent l’acheteur, est le seul juge du résultat” (the shooter, often the buyer, is the only judge of the result). For Niki, the shot represented a miraculous instant – the point where life becomes death, and in her paintings, where white becomes color. About her famous Nanas (the first life size one measured 27x6x9 meters! ), Niki humorously said: “Les nanas sont grandes parce que les hommes le sont, et qu’il faut qu’elles le soient davantage pour être leurs égales.” (The Nanas are big, because men are, and hence they must be even bigger than them in order to be their equals). Scale as an inherent element of one’s work, and a way to physically position it in the world: it’s a liberating thought. 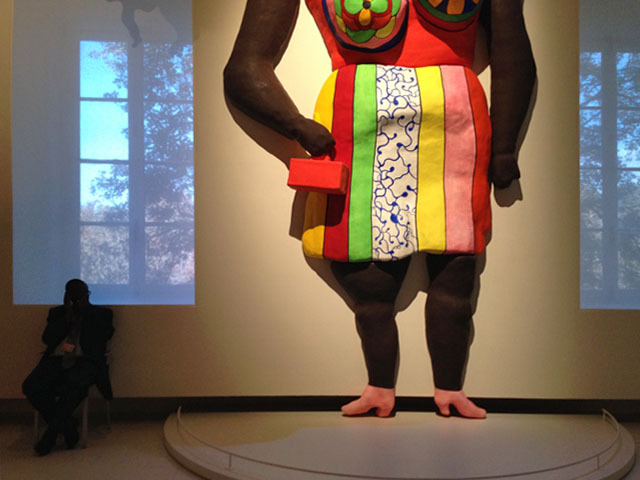 Is it a coincidence that big, black Dolorès overshadows a guard in the exhibition (image)? Niki fought all her life for “droit de cité”, the right to take part in civic life for all. To, somehow, let violence and joy of life co-exist seems to have been her most important dilemma.